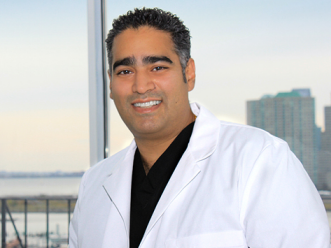 Dr. Vik Luthra received his Doctor of Dental Surgery Degree from New York University. Dr. Luthra takes the utmost care to ensure that every patient is treated with care and compassion in a friendly and tranquil environment. In order to keep with the latest trends and developments in the field of Dentistry, he maintains extensive ongoing continuing education to ensure that his patients are provided with scientifically proven and predictable State of the Art dentistry. Dr. Luthra has special interests in the areas of cosmetic and implant dentistry. He is a surgical graduate of the world renowned Misch International Implant Institute and is a Fellow of the International Congress of Oral Implantologists.